The Wave Kimono will be available to purchase on Monday the 8th October at 11:00am UK time. Worldwide customers are more than welcome to order from us, we ship tracked worldwide. 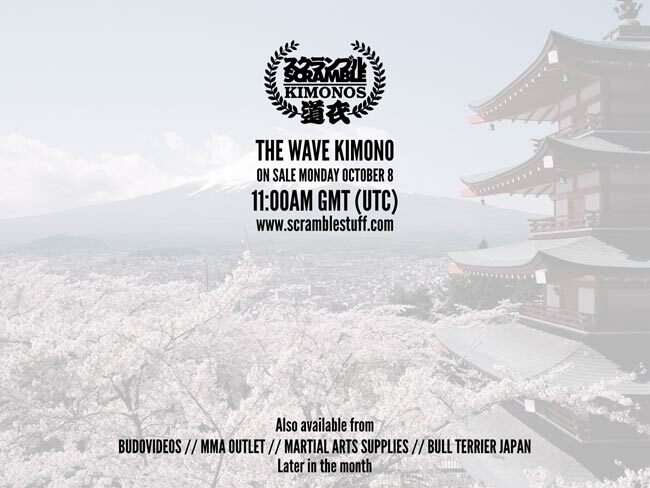 However, US resellers Martial Arts Supplies, Budo Videos and MMA Outlet will all be selling the gi around a week later so you can catch it then if you’re in the US or if you miss the UK sale. Japanese customers, Bull Terrier will also stock the gi.